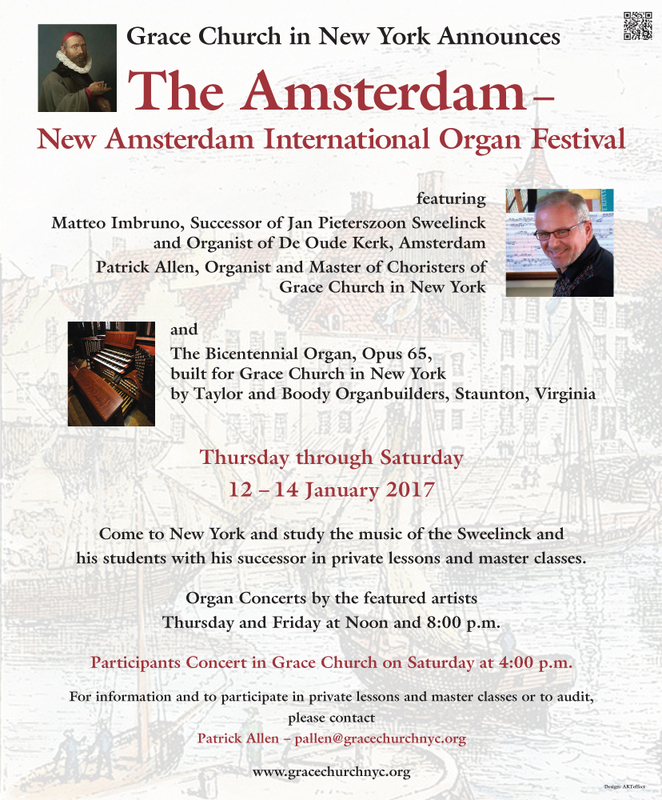 Come to New York and study the music of the Sweelinck and his students with his successor in private lessons and master classes. Thursday and Friday at Noon and 8:00 p.m. 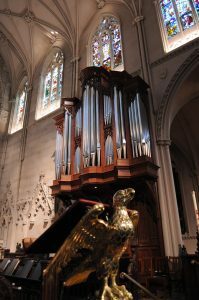 Participants Concert in Grace Church on Saturday at 4:00 p.m.
For information and to participate in private lessons and master classes or to audit, please contact Patrick Allen by using the CONTACT BUTTON at the top right of this page. Matteo Imbruno, a native of Pietramontecorvino, Italy, studied organ in Bologna (Liuwe Tamminga), Rotterdam (Bernard Winsemius) and Lübeck (Martin Haselböck). 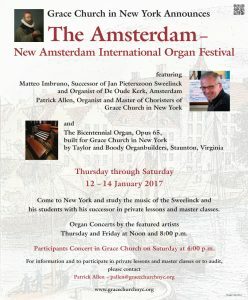 He is resident organist of the Oude Kerk in Amsterdam, the same position that Jan Pieterszoon Sweelinck held in the 17th century. 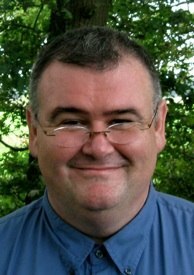 Mr. Imbruno is also the resident organist of the Museum Amsterdam Hermitage. Active as a concert performer, he has played in the most prestigious festivals and music centres of Europe, Japan, South America and the United States. Mr. Imbruno has had the regular privilege of performing duo recitals for two organs with the late Gustav Leonhardt. He was visiting teacher at the Buenos Aires Conservatory, University of Rosario, University of Mendoza (Argentina), Montevideo Conservatory (Uruguay), Arizona State University (Phoenix USA) and Brown University (Providence USA). Mr. Imbruno presents masterclasses around the world and is in demand on international juries. He has recorded several CD’s on historical organs in The Netherlands and Italy, and has made recordings for the BBC radio London. 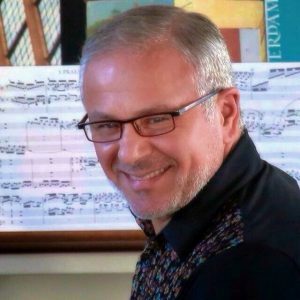 Matteo Imbruno is the artistic director of the “International Organ Competition Jan Pieterszoon Sweelinck” and of the”Fondazione Accademia di Musica Italiana per Organo(Pistoia)”. 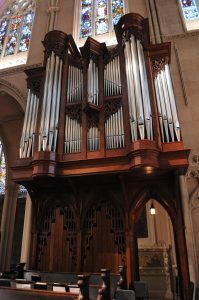 Allen has been heard as soloist on the organ and harpsichord and in many chamber music programs throughout the United States and Europe. With the Choir of Men and Boys and Girls’ Choir of Grace Church he has toured France, Austria, The Czech Republic, Italy, the Netherlands and the United Kingdom. Allen has recorded with The Saint Thomas Choir on the Koch and Priory labels.